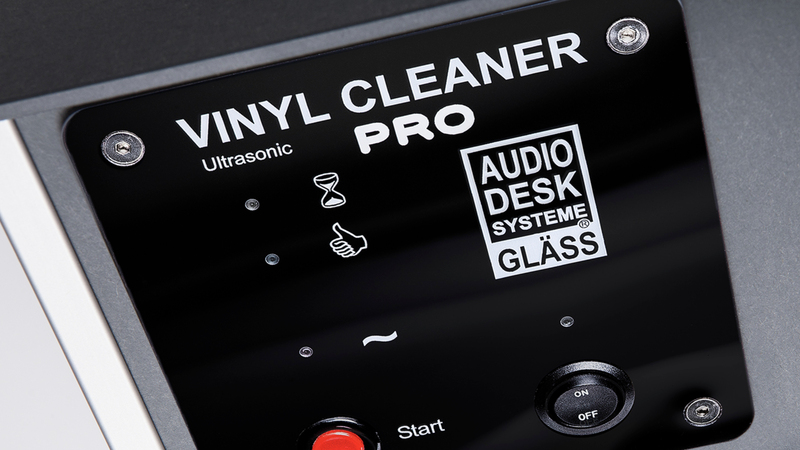 The ULTRA SYSTEM Audio Desk Systeme Vinyl Cleaner Pro provides a quantum leap in cleaning LPs, and does so in an easy to use device. The importance of clean LPs cannot be understated. Over the years, there have been a variety of products designed to clean LPs; some worked better than others (some in fact, actually made the situation worse, by driving the dirt deeper into the grooves). The use of ultrasonics was a clear advance, but most systems failed to live up to expectations. 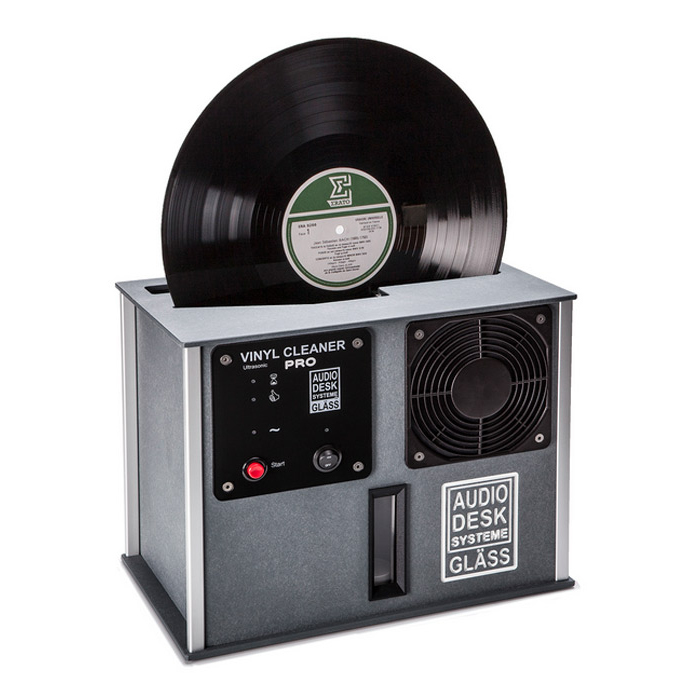 Development of the Vinyl Cleaner took designer Reiner Gläss four long years beginning in 2006. The addition of four counter-rotating microfiber-covered barrels as the primary means for the surface cleaning of fingerprints, etc., allowed for a significant reduction in ultrasonic wattage, and also serves an important fluid management function by wicking the ultrasonic agitation away from the LP surface into the cleaning solution where contaminants can be filtered. This fluid management is important because otherwise the contaminants the ultrasonic vibration removes from the surface of the record can simply redeposit back onto the LP surface. Another improvement in cleaning efficiency allowing for a further reduction in the need for ultrasonic power was achieved through introduction of a cleaning solution surfactant to make the distilled water a better solvent when used in conjunction with the ultrasonic process. Add a fluid filter to clean the re-circulating cleaning solution, and air filters to collect airborne dust which would otherwise be blown back onto the wet surface of the LP during the drying cycle, and you basically have the current machine— a record cleaning robot that cleans to the bottom of the groove, and then by using fan-assisted air drying, rather than static-inducing suction, leaves the user with a thoroughly cleaned record with no static charge attracting airborne dust.